Selecting a permanent memorial for your loved one can be a very difficult decision. The staff at Svoboda Funeral Home will inform you of the options available and help you design a memorial that will be a very meaningful tribute. If you would like to know more about markers or monuments please call Svoboda Funeral Home to make an appointment. A member of our staff will provide assistance through an in-home or funeral home appointment. Memorials come in several different shapes, colors, and sizes. 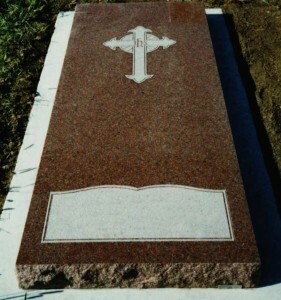 The most common memorials are flushers, bevels, slants, and monuments. 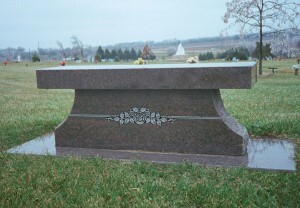 Monuments can be customized into any shape to make a meaningful tribute. 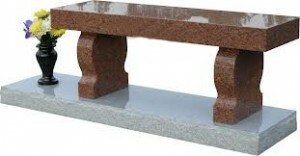 A bench or granite ledger may also be used to memorialize a loved ones life. Marcy Mortuary represents Nebraska Memorials. Please, visit the Nebraska Memorials website to assist you with monument and marker options. When you find a design that you like, call the funeral home for pricing and additional options.